Like veganism, yoga, and cross-fit, cycling has over the past few years seen a distinctive development. No longer a mere lifestyle trend, it now inspires genuine change in the way Capetonians (and the world) live their lives. In keeping with the spirit of encouraging healthier, active living, Benn van der Westhuizen takes a look at unique and fun cycling tours to explore Cape Town and the Winelands. Bikes ‘n’ Wines is a new concept in Winelands tourism and a South African first, combining both mountain biking and exclusive wine tastings. The tours are targeted at young-hearted and outdoor-loving people who would like to experience a wine tour from a different and authentic viewpoint. They also offer more straightforward bike rentals as well as Cape Town bike tours which include beer, food and art cycle tours through the city. Catering for all ages and fitness levels, as well as offering personalised tours and adventures for groups and corporates, Bikes ‘n’ Wines tours sees guests spending the day cycling through the vineyards and along private farm roads, dipping their feet in rivers and dams along the way and learning about the historically diverse area by experiencing its richness. Bikes ‘n’ Wines operates from the &Bikes Café, the only venue of its kind in Cape Town that offers a dedicated hub for all bicycle-related tourism. From tours and travels to gifts and mementos, everything is accessible from one location, situated in the heart of Cape Town’s trendy and bustling CBD. Stellenbosch Adventure Ride: 21km | R800 | Taking guests along the picturesque backroads and neatly-lined vineyards of Stellenbosch, this action-packed winelands bicycle tour is well-suited to the young-at-heart and adventurous. Tour also includes wine tasting at 3 boutiques wineries along the way. Franschhoek Winelands Meander: 10km | R855 | Slow down and soak up the beauty of the Franschhoek Winelands at a relaxed pedaling pace. During this six hour cycle tour, guests visit 3 wine estates and stop off for an a la carte lunch. Cape Towns Bites & Bikes Tour: 12km | R685 | Indulge in traditional South African fare such as biltong, fish curry and koeksisters, while exploring the culinary side of Cape Town by bicycle. E-lectric Ventures offer unique, exclusive and private tours that include a memorable experience on their eco-friendly, quiet, stylish and comfortable electric bikes (e-bikes). Suitable for individuals, couples or group trips, E-lectric Ventures offers the perfect opportunity to e-venture into the outdoors – whether fit or unfit, young or old. This unique tour company has a variety of tour options available, including short and long term hire options, with customisable packages to suit all needs. Bikes are imported, with 3 different models to choose from – including the Enduro, unmatched in performance and power. While wandering down the many treasured paths or roads on one of the tours, guests experience breathtaking scenery, learn about South Africa’s history, and explore the diverse fauna and flora. West Coast Exclusive E-Bike Experience (half-day): From R600 | Guests head out to the West Coast National Park where they embark on a leisurely e-bike cycle through the beautiful reserve. The ride takes guests all the way through the park with amazing views of the ocean on the left and the beautiful turquoise-coloured lagoon on the right. Winelands Exclusive E-Bike Experience (half-day or full-day): From R900 | Guests explore the scenic views and historical sites of Paarl and Stellenbosch in either a half-day or full-day Winelands tour – including notable stops at the Taal Monument and Paarl Mountain Nature Reserve. Tours also include wine and spirit pairings. Every Imzu tour is designed to educate its riders about the vibrant lifestyle that runs throughout the townships of Khayelitsha and Langa. Tackling one of the biggest problems townships face – unemployment – Imzu Tours hires locals as tour guides and teaches them transferable skills to help push their careers forward. They also promote local artists, showcasing their work during every tour and giving tourists the opportunity to buy beautiful handmade art. The Langa Township Cycling Tour sees participants meeting the local guide at the Guga S’thebe Community Centre in this tourist-friendly township. 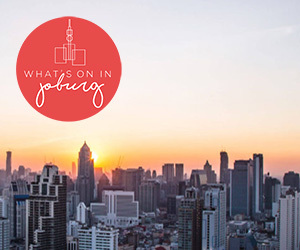 From there, guests take a 2-hour, fun-filled cycling tour, stopping along the way to meet local kids and families, witness the township sights and culture, sample traditional beer at a shebeen, and pop in at the flea market to pick up a souvenir from the local entrepreneurs. Venture South focuses on creating an unforgettable experience in its tours of the Western Cape, aiming to impress without apparent effort. Many of its tours include electric bicycles – with options of cycling through the Franschhoek Winelands, pedaling across the Cape of Good Hope, experiencing a traditional food tour, or taking a sunset ride down the Sea Point promenade. E-Bike & Food Tour: R1400 | Starting alongside the Atlantic ocean, on the popular Sea Point promenade, guests hop on their fully-charged e-bikes and pedal along the picturesque coastline, all the way to Bo-Kaap. Here they sample traditional Cape Malay food and learn about the history of this quirky area, before taking a trip to the trendiest streets in the Cape Town City Bowl for a glimpse into the city’s vibe. Then it’s a happy meander through the lush Company Gardens (stopping for a delicious cup of coffee) before ending at the classy V&A Waterfront – a whole experience of its own. The tour includes a minimum of 3 food tasting treats and a qualified guide. Viewing the Cape from a mountain bike with Cape Touring is the ultimate South African experience, with guests cycling through the Winelands, visiting iconic venues and enjoying quality local cuisines. There are seven carefully selected mountain biking routes (usually done over 7 days), with guests opting to cycle one or more days. Fitness levels do not apply – skilled cyclists and the not-so-fit and/or not-so-experienced cyclists are all welcome. Cape Touring offers tours of the Helderberg Mountain bike trails, Paul Cluver and Oak Vallery MTB parks, Bottelary Hills Conservancy, Jonkershoek, Welvanpas and Paarl Rock, and Boschendal. Coffeebeans Routes also run a Street Art Tour by Bike highlighting some of Cape Town’s vibrant graffiti scenes.